Are you ready to close that bothersome gap in your smile? Losing a single tooth is enough to cause a real disruption to your oral health. It can make biting and chewing more difficult, and add increased wear and tear on your remaining teeth. Just one absent tooth is enough to create a risk for further losses, which can further complicate your oral health. Bridges and dentures allow patients to bring back their complete smile. Bridges are permanently locked into place with a pair of dental crowns, and they can help you feel more comfortable when you practice standard dental functions. Dentures help patients with more advanced losses. Restoring your smile can be a big boost to your confidence, and dental function. 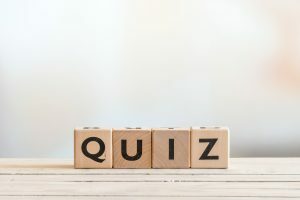 True Or False: Your dental bridge is locked into position permanently with two dental crowns, with each crown placed over a tooth on either side of your gap. True Or False: Only complete dentures, which replace a full dental arch, can be provided to patients. True Or False: If you do nothing about missing teeth, your chances of suffering further losses are increased. True! Because your dental bridge is stable, and permanently locked in place, it can fit comfortably, and you can be less worried about disrupting it when you bite and chew. False! Partial dentures allow you to use a single restoration to address multiple losses, while still leaving your remaining teeth in place. True! Your teeth actually give support to each other, helping to keep them stable. When you lose one tooth, its neighbors have less support, and more more likely to move and shift, ultimately increasing their risk of being lost. At Cedar West Family Dentistry, patients who have suffered tooth loss can receive a prosthetic that helps them rebuild their smile, and improve their confidence and dental function. We can provide the right prosthetic support to help people with a single missing tooth, or those who have suffered the loss of multiple teeth. 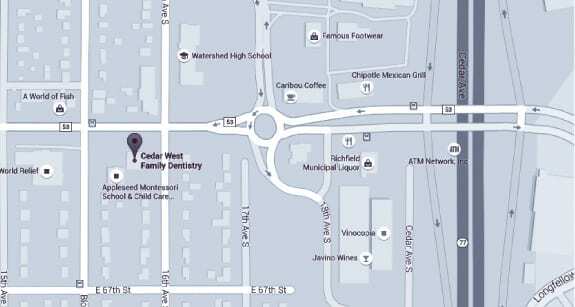 To learn more about how we can restore your smile, or to set up your appointment, call our family dental office in Richfield, MN, today at (612) 861-7188.